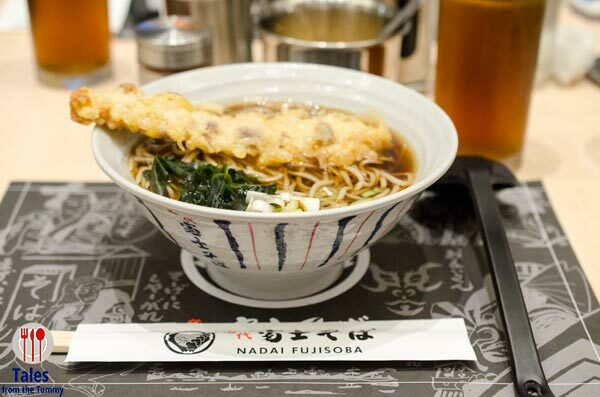 Nadai Fujisoba, opened in 1966, is a famous soba(buckwheat noodles) chain in Japan. 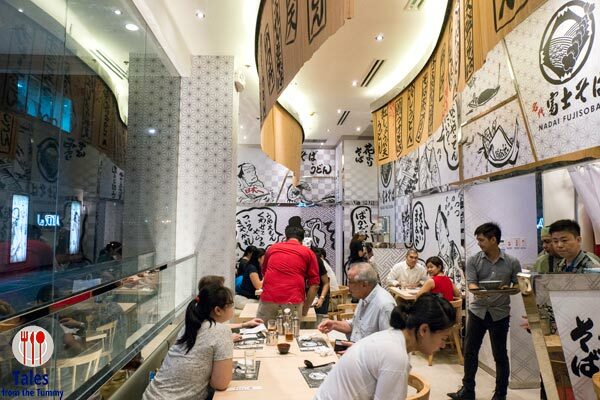 It quietly opened less than 2 weeks and breaks the deluge of ramen shops that have been opening one after another. I’ve been waiting for a Japanese franchise to focus on soba and udon. Irene and I had a chance to visit their first store in BGC while we were waiting for Lauren. It sits on a corner on Bonifacio High Street (previously Kirin) sandwiched by sister restos Ikkoryu Fukuoka Ramen and Kimukatsu. 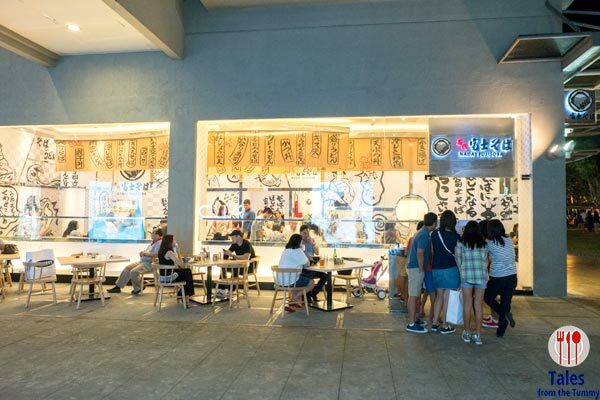 The facade is very attractive with a food wall with fake bowls of noodles on one side and a dining area filled with Japanese phrases and murals. Irene has more of a preference for udon so she was happy to find out that you have the option of choosing soba or udon for almost all their noodle bowls. She got the Horensou Udon (P200), udon noodles in broth topped with spinach and bonito flakes. 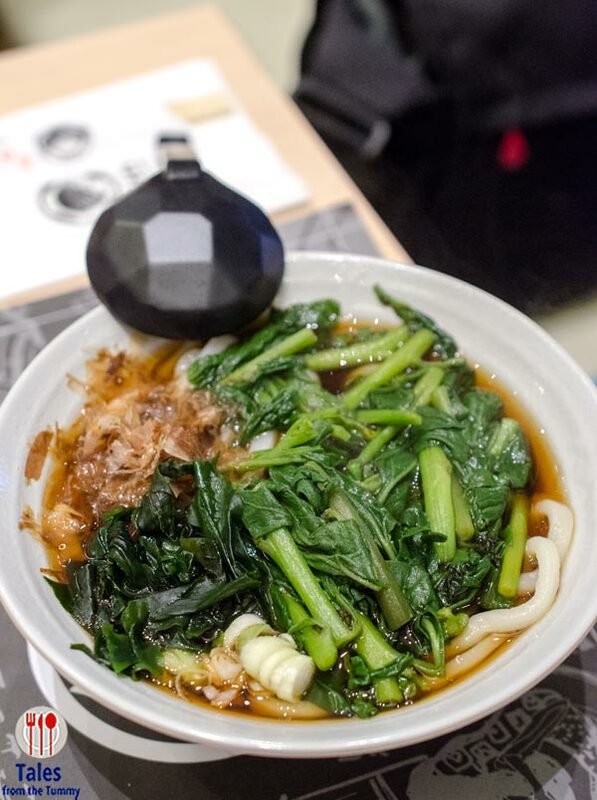 The noodles were firm and chewy and the broth was flavorful while spinach was generous. 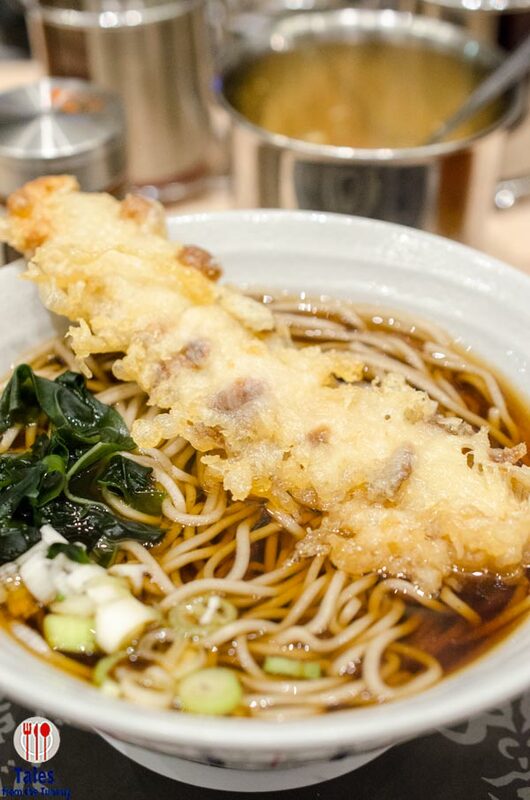 Their hot noodle dishes use the same bonito based broth whether you get it with udon or soba. I was not looking at anything but soba because Nadai Fujisoba is a soba specialist. I got the Chikuwa Soba (P230), soba noodles in broth with a big strip of chikuwa tempura. The soba were cooked al dente and had a nice nutty flavor. The chikuwa is a tube shaped fish cake that was expertly cooked with no greasy taste at all. If you like the breading a bit soggy then you can leave it in the broth but if you want a semblance of crispiness then be sure to remove it immediately. We also got some Ebi Tempura (P180/3 pieces, P280/5 pieces) and had actually wanted to order Ika/Squid also but they were out of stock. 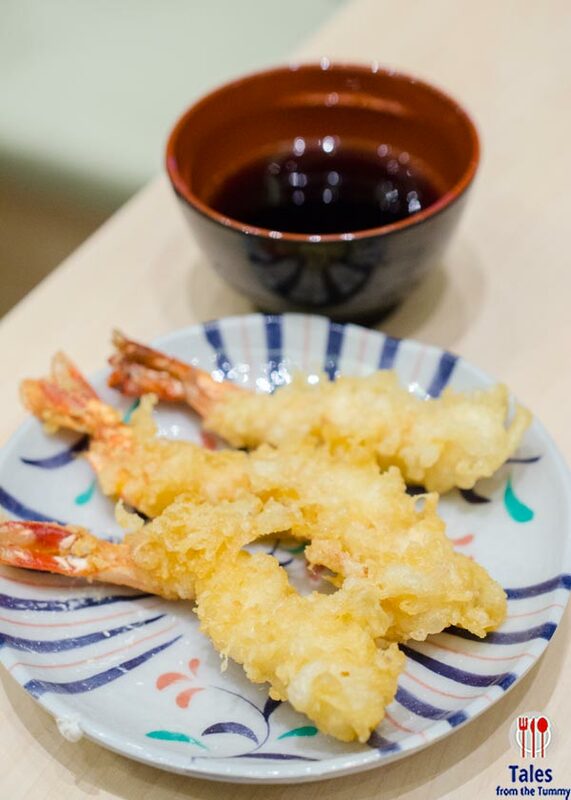 The tempura is nothing spectacular, size is more on the small to medium size but batter was crispy and dipped into the soba broth was more than adequate. Craving for Japanese style noodles but want something aside from ramen then a visit to Nadai Fujisoba should do the trick. Prices are pocket friendly especially for the Fort/BGC area and servings sizes are quite generous. I’ll be back to try their dipping soba and cold soba. They are pretty good and not expensive. Hope you enjoy.